The collection of the late Richard Lee Callaway forms the cornerstone of the fine printing and private press section of our Fine Illustrated Books & Graphics sale on January 29. Callaway was a longtime friend and admirer of artist Alan James Robinson. 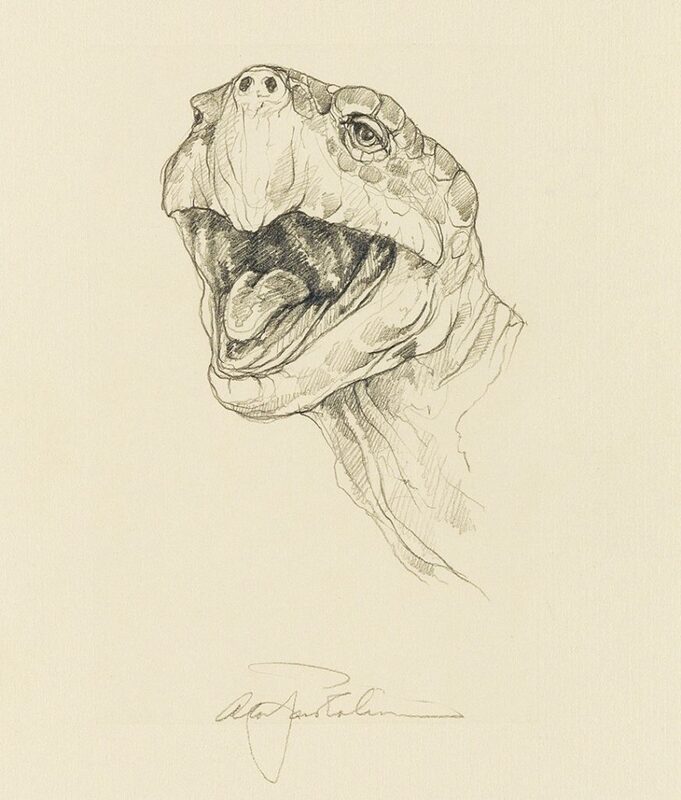 Through their relationship, Callaway became involved in The Press of the Sea Turtle and collaborated on numerous publications with Robinson as his representative on the West Coast under his business: Richard Lee Callaway Rare Books and Autographs. 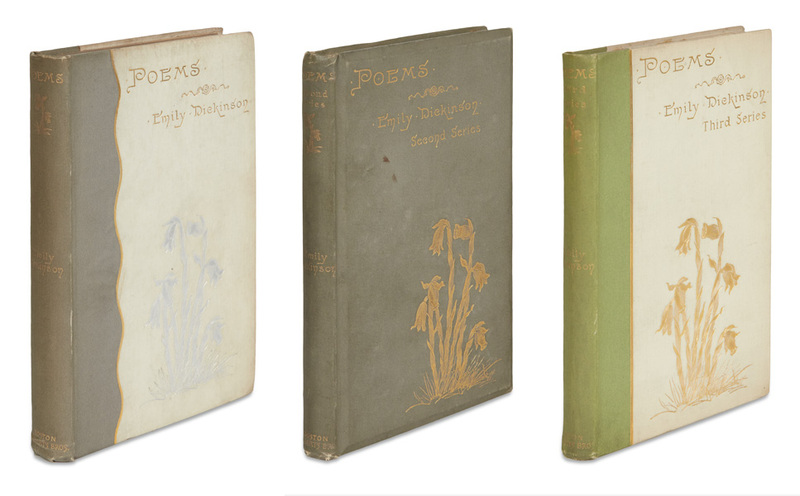 Several of the books featured in our sale were specially presented to Callaway and assembled for him with additional suites and original works of art. 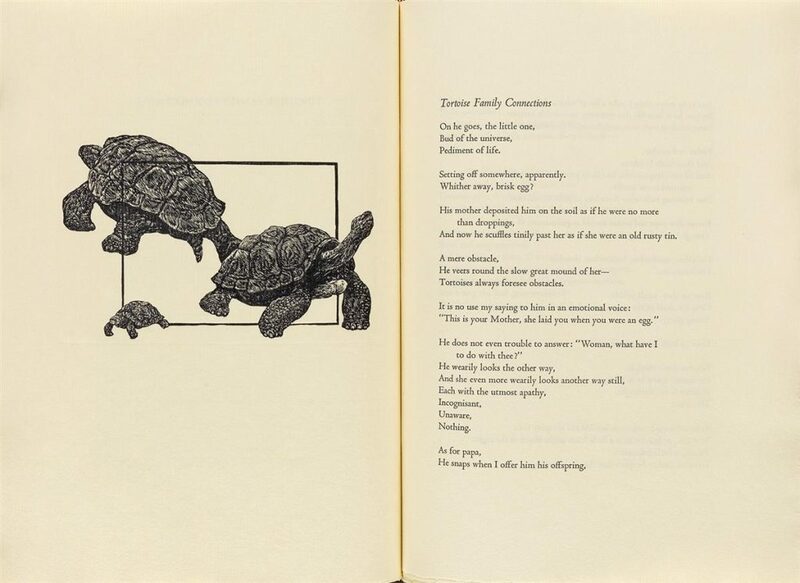 Lot 24: Alan James Robinson, Tortoises, artist’s proof copy, Cheloniidae Press, 1983. Robinson established his professional press in 1980 with the ABCedary Press. Through various partnerships and patrons, the press has experienced several incarnations including the most well-known version, the Cheloniidae Press, and the final iteration, The Press of the Sea Turtle. The inaugural work of the ABCedary Letterpress was Ancient Needs by Mark Philip Carol, which tells the tale of the Harp seals of the Magdalen Islands in Canada and their vulnerability to hunters, illustrated by Robinson. Lot 21: Alan James Robinson, Ancient Needs, deluxe edition and publisher’s mock-up, ABCedary Letterpress, 1989. Estimate $1,500 to $2,500. Present in the sale is B of only 26 lettered deluxe copies which includes an additional original watercolor drawing on vellum of a Harp seal. 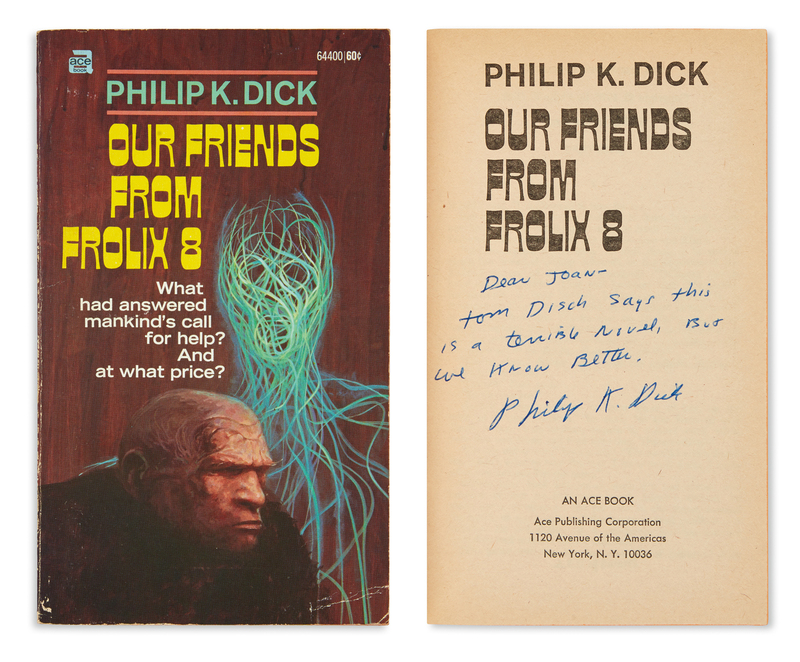 The work is offered with a complete mock-up of the publication and features an autograph letter signed by Robinson to Callaway. 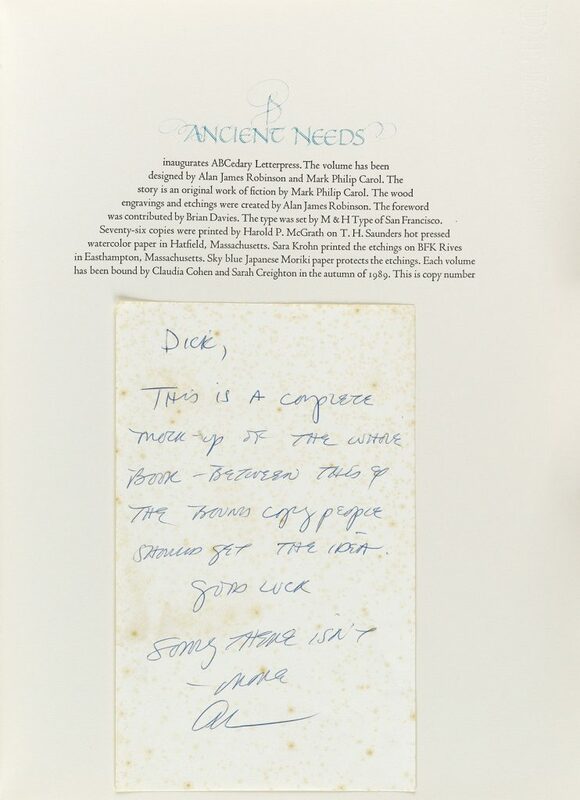 Lot 21: Alan James Robinson, Ancient Needs, autograph letter signed, ABCendary Letterpress, 1989. Robinson took on D. H. Lawrence’s Tortoises in 1983. The artist’s proof copy–in spectacular sculptural leather binding by Daniel E. Kelm of the Wide Awake Garage–comes across the block with an etched frontispiece portrait of the author, seven wood engravings by Robinson and two separate suites of original pencil drawings. Lot 24: Alan James Robinson, Tortoises, artist’s proof copy, Cheloniidae Press, 1983. Estimate $3,000 to $4,000. The artist’s proof copy of the special deluxe edition of Cheloniidae: Sea Turtle is number three of only four copies with the beautiful bronze cover sculpture of the titular animal (also bound by Kelm). Laid into the book is a watercolor of the turtle inscribed and signed for Callaway, and seven etchings and wood engravings. Lot 23: Alan James Robinson, Cheloniidae: Sea Turtles, artist’s proof copy of the special deluxe edition, Cheloniidae Press, 1987. Estimate $3,000 to $5,000. The first book of the Cheloniidae Press was the 1980 printing of The Raven by Edgar Allan Poe. The Publisher’s Proof copy for Robinson in deluxe binding is offered with seven original pencil drawings, proofs of the title and colophon illustrations on Japan paper, 12 titled and signed state proofs and an artist’s proof of the portrait depicting Poe with the raven emerging from behind his head. Lot 28: Alan James Robinson, The Raven, publisher’s copy, Cheloniidae Press, 1980. Estimate $2,500 to $3,500. A unique artist’s personal copy of The Black Cat by Poe is available with a full set of watercolors based on the original wood engravings, plus additional proofs and plates selected by Robinson for this edition. The binding is done by Gray Parrot with an original bas relief paper sculpture of the titular cat. Lot 27: Alan James Robinson, The Black Cat, artist’s personal proof, Cheloniidae Press, 1984. Estimate $2,000 to $3,000. Works from Robinson and the Cheloniidae Press have performed well at auction in recent years: Cetacea, the Great Whales, 1981, sold in 2014 for $1,750. Recently Robinson has been working on his first publication in over 20 years: a series of new letterpress broadsides, If There Were No Books, in collaboration with Charles E. Roberts of Wonder Book Editions. Additionally, Robinson is preparing to launch a History of the Cheloniidae Press, as well as a website and social media channels. 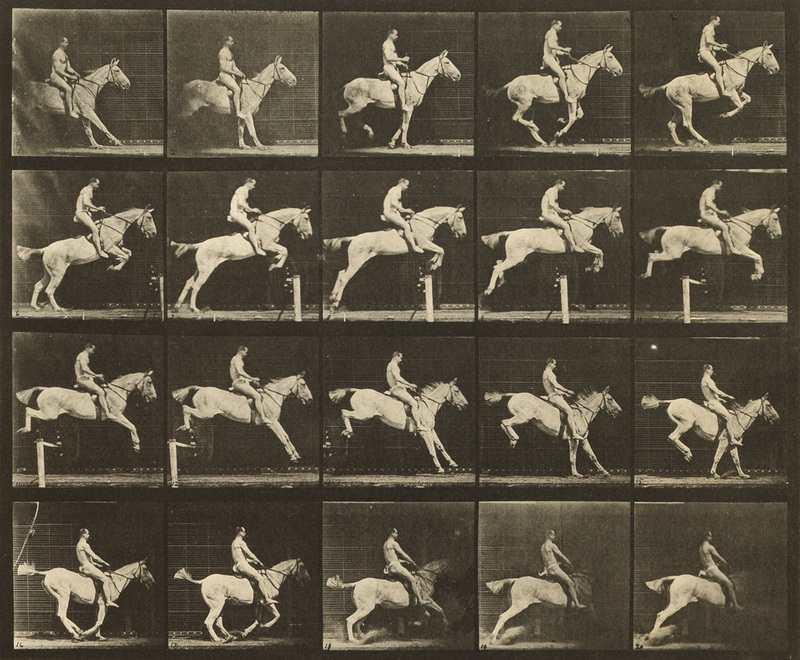 For more in our January 29 sale, browse the full catalogue.